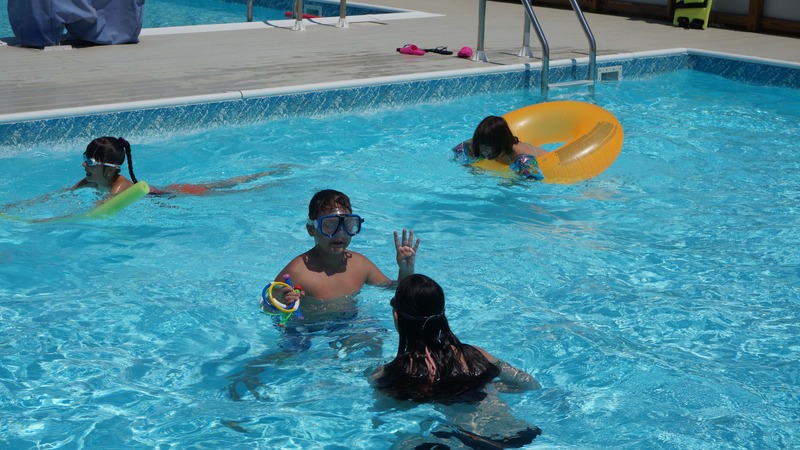 The summer is heating up and throwing a pool party is the perfect way to cool down while providing a fun and safe activity for you and your guests. There is a lot that goes into planning a pool party, and these five tips can help you avoid all pool party pitfalls. Wear Sunscreen – It’s No. 1 for a reason! You want your party to be remembered for the great food, cool pool, and great company – not a painful sunburn with peeling skin. Whether lounging by the pool, playing some backyard games, or in the pool itself, it is important to wear waterproof and sweatproof sunscreen to keep skin healthy and avoid painful sunburn. Make sure you reapply – and reapply for your children – after taking a dip. Provide safety equipment – Safety in the water is key and should be taken very seriously. Know what guests aren’t strong swimmers and provide safety gear such as floaties so they can stay safe in the water. If you’re booking your party at a facility with a pool, make sure lifeguards are on hand and monitoring pool activity at all times. Keep guests entertained with games and other activities in the pool – Who doesn’t love a good pool noodle? Inflatables and dive toys are also fun additions so guests can play in the pool, have fun interacting with guests, or lounge and relax. Shade for you and your food – Warm macaroni salad? Sweaty clothes? Hot fruits? No thanks! Make sure there is some shade where your guests can get out of the sun and where your food won’t spoil. Provide a variety of food options – Keep the food coming with a variety of salads, finger foods, dips and drinks at your party. BBQ always goes over well at these types of parties and is usually a good fit for anyone’s palate. A pool party is a wonderful event to throw for your family and friends. Here at Aviator we truly live by our motto, “we do all the work and you have all the fun.” Aviator’s event staff takes care of everything, and best of all no food or drink runs needed. Choose from catering packages in our BBQ and Picnic menu or design your own. With two private pools, tent space available, as well as brand new top notch catering menus, you can sit back, relax, and be the hero of the day. It will all go swimmingly.